In Wiltshire, in a landscape that has been cultivated continuously since Neolithic times, a new spirit is stirring. Winding among the partridge drifting across the tarmac like penguins on an ice floe, on a glorious late summer morning the road led slowly uphill to the Ramsbury Distillery and Brewery. That a facility that is completely reliant on a regular supply of considerable volumes of water is situated on top of a hill is far from the most remarkable aspect of this venture. 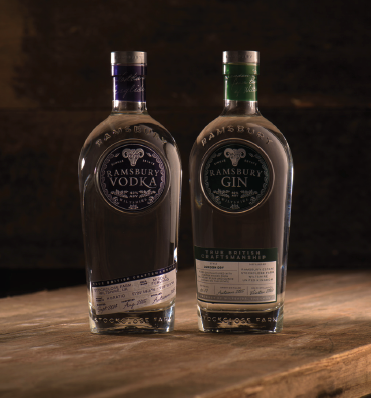 The Ramsbury distillery was set up specifically to be not just one of the handful of single estate among the (currently) 450 plus producers of gin in the UK, but to do so by integrating to optimum effect the resources of the estate on which it stands. One of which is the well on the hilltop from which it draws its water; another the more than 19,000 acres that surround the converted farmyard in which it operates. This land provides all of the grain for both brewing and distillation, the wood that fuels the steam boilers that heat the operation, many of the botanicals used in the gin, and a home for the cattle and pigs which both dispose with gusto of many of the by-products of production and end up as charcuterie sold alongside Ramsbury’s own rapeseed oil and game from the estate. In the vast majority of cases, the waste water that is a by-product of distilleries is taken away by tanker for disposal by who knows what dark practice. At Ramsbury, it feeds directly from the sheds to a series of six reed beds, during its passage through which industrious and friendly bacteria remove harmful matter before it feeds directly into a lake managed by the Wildlife and Wetland Trust. According to Will Thompson, my guide to the distillery (tours are available and highly recommended, partridge-plough optional), the water of the lake conforms to safe drinking water standards, although he hasn’t quite got round to it yet. 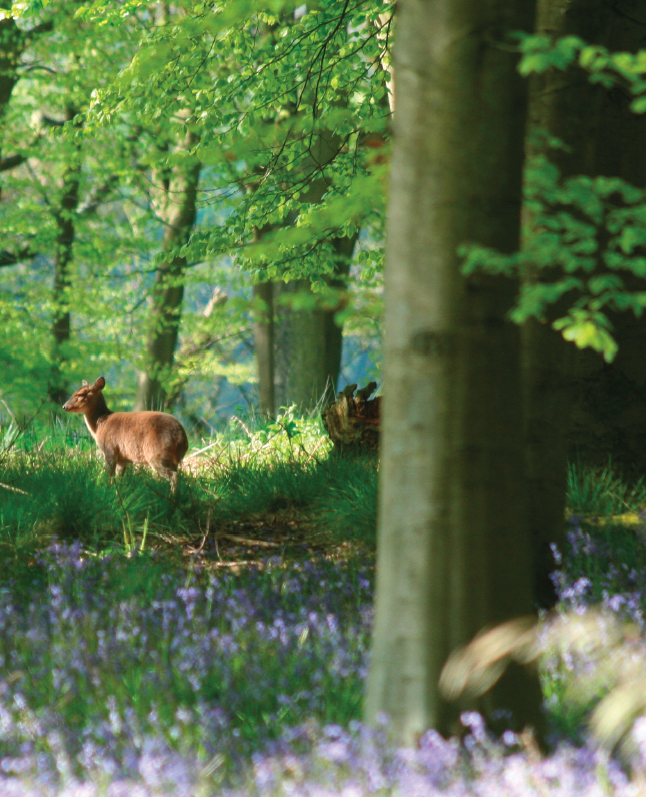 The ultimate aim is zero carbon footprint and zero waste, and already Ramsbury is looking at using their self-sufficient wood resource to generate the electricity required for the site. 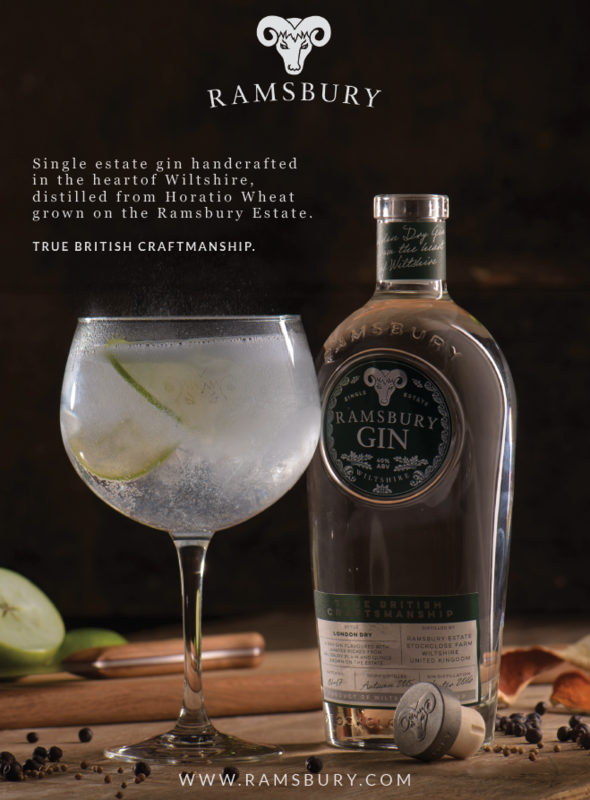 Ask how long it takes to make a bottle of Ramsbury gin and the answer is well-rehearsed but apt: either 4 days to brew, 3 days to distil vodka plus another for gin, a year to grow the wheat, or 30 years for the wood to mature. All of which is of course extremely worthy, and it’s heartening to know that the mother being ruined isn’t nature, but would be a complete waste of time, money, and good intentions if the end result turned out to be not worth the effort. Fortunately, alongside the agricultural and ecological harmony is a total integration of quality, and indeed one that makes absolute and well-rounded sense. This was brought home to me by a throwaway comment made by Will when he was showing me around the distillery: “Of course, to make a great gin, you need to make a great vodka”. An idea that I suppose ought to be obvious, yet still came as something of a revelation. In my defence it was 9.30 in the morning. And to make great vodka, it does no harm to have developed the skill of brewing great beer. 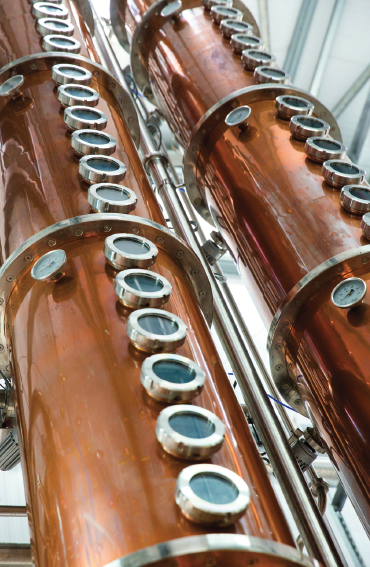 Much of the flavour found in vodka is created during the mashing, brewing, and fermentation stages, in all of which the brewer’s skills come to the fore. 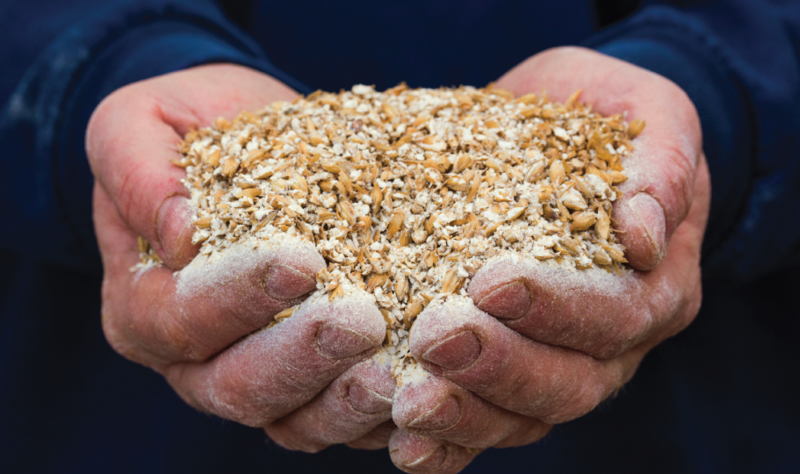 By the time the distillery began production in 2015, Ramsbury had been winning awards for its beer for well over a decade, and more than holding its own in the general ale contraction that has taken place in these debased times. Added to this experience and skill is the Horatio wheat from which the spirit is distilled, a cereal that despite its acknowledged high quality is not generally used in distilling owing to its lower yield. The liquid that results from this combination of skill in production and prime ingredients is distilled to a staggering 96.5% purity, significantly higher than almost all others, before dilution to its bottle strength of 43%ABV. Fuller in alcohol than usual, this extra strength in the vodka becomes immediately apparent in the mouth where it has the weight and texture of a fine malt. Also clearly present is the singular virtue of single estate provenance, the terroir beloved of winemakers, where the unique character of a particular plot reveals itself in the finished product. Again we see the parallel with for example a premier cru classé Bordeaux château, where a jealously preserved individual quality is by far the overriding concern. So, does Ramsbury vodka taste of Wiltshire, even of this particular corner of the county? Hard to say without considerable further research, but what I can say with certainty is that it is beautifully clean and fresh, delicious unmixed, and above all completely distinctive. So, we now have a premium vodka, made with a single estate spirit distilled from the produce of the land on which the distillery stands, diluted to bottle strength using the water from one of the UK’s purest chalk streams, and showing all the virtues of local character. This same spirit is the basis for Ramsbury gin. The overwhelming majority of gin is made from bought-in spirit of necessarily variable quality, much of it produced in industrial quantity, with the particular style of the brand generated by the particular recipe of aromatics applied to the base. Which is not to disparage the procedure, and I’m sure we’ve all enjoyed its results often enough in our lives, but sometimes it does the soul good to aim one’s sights and standards at a higher level. Towards, perhaps, a gin of unique bearing and outstanding quality. It is in the 140 litre gin still that the spirit acquires the flavours and tones from the blend of aromatics, including quince from the estate’s orchard and juniper from Salisbury Plain, that applies a tone, texture, and flavour to the finished Ramsbury gin every bit as distinctive as that of the vodka. Delicately subtle, without the strength of juniper often used to mask inferior ingredients yet retaining the weight in the mouth of the spirit on which it is based, this once again is – in my opinion – a spirit most favourably sampled unsullied by lesser fluids. Will assured me that its ultimate expression is in a martini, which I was prepared to countenance, but on reflection decided that with a full day’s work ahead it might be unwise to put the idea to the test. Hand bottled, sealed, labelled and packed on site, a bottle of Ramsbury gin or vodka is thus the culmination of a truly integrated and pioneering operation that brings together agricultural best practice, ecological awareness, premium ingredients, and craft skills and experience. Will describes Ramsbury as the equivalent of a farm with both its own mill and bakery, and a throwback to a pre-industrial way of producing. Happily for all concerned, the end result is every bit as elegantly satisfying as the process that brought it into being.